It's the most wonderful time of the year, and it tends to be filled with family, fun celebrations and sometimes it can even include a nice getaway, too. With so much going on during the holidays, people can get overwhelmed when planning for gift shopping, cooking and hosting parties. 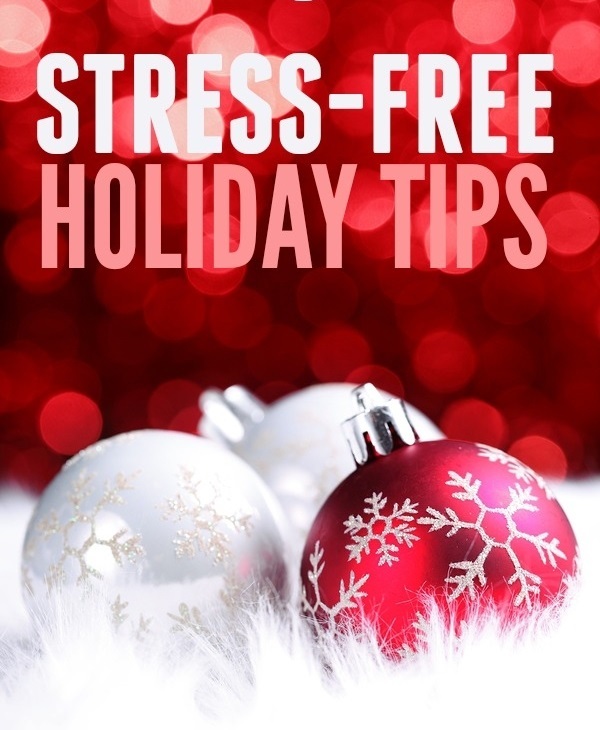 How about a stress-free holiday season? Yes, it is possible! Keep reading for tips to plan ahead and stay organized. "Last minute" is your biggest enemy. If you plan on hosting a party or contributing with someone else's party, make a list with everything you need to do and buy and take a good look at your calendar to see the days you will have most time this month and you are more likely to squeeze in some pre-holiday effort. Many of the traditional holiday dishes can be made and frozen several days in advance, which allows you to just heat them up when your guests are ready to eat. Click here to see a list of make ahead recipes. It is a good idea to ask friends and family members to pitch in by bringing an appetizer or dessert: Give them a few suggestions that they can choose from and be sure to give them enough time to prepare for that as well. If you are really running short of time, you might want to skip cooking altogether and buy the food. Most restaurants have a catering service that offers a holiday menu. If you have relatives from out of town staying with you, remember that it can get trickier to get things done when you have more people in the house. Keep a list of things that they can do (check out our next article!) to keep themselves entertained while you are busy. If you are having a party at your house, make some room for coats, shoes and bags before guests arrive. Last but not least, creating a relaxing atmosphere will not only make it pleasant for your guests but also help you stay in control and have a good time. Light a few candles and play some good music in the background. If you have a smartphone that you can hook up to a speaker you can download Pandora, an app with radio stations that can be created and managed according to your preferences and offers great holiday music. Turn down the thermostat a few degrees, since a room filled with people can get a little too warm and you don't want your guests to feel the need to take a break outside for some fresh air. Then, all you need to do is enjoy the soothing company of your favorite people with your favorite foods and drinks. Have fun!